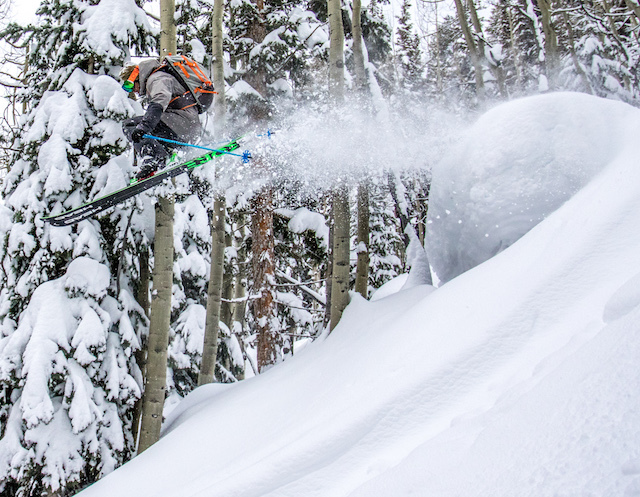 Whether ripping groomers or pow, The Freaks have one rule: Ski fast. Zach Maraziti photo. While working your way into this gang may involve watching Aspen Extreme at an excruciatingly high rate, it also requires you to take it to the limit while still having fun. “We like to party hard and play hard,” says Wiley Maple, one of the founding members of the crew who most recently spent this winter competing in the Men’s Downhill at the 2018 Winter Olympics in Pyeongchang. Maple knows a thing or two about playing hard: he has had at least fifteen surgeries, including four back operations and three knee surgeries. Not everybody in the group rides quite as hard as Maple, but they all share an obsession with the mountain. Willie Major goes into the abyss. Ben Moscona photo. “Aspen Mountain has played a pinnacle role in shaping us to be the skiers we are today,” says Sam Coffey, one of the founding members. 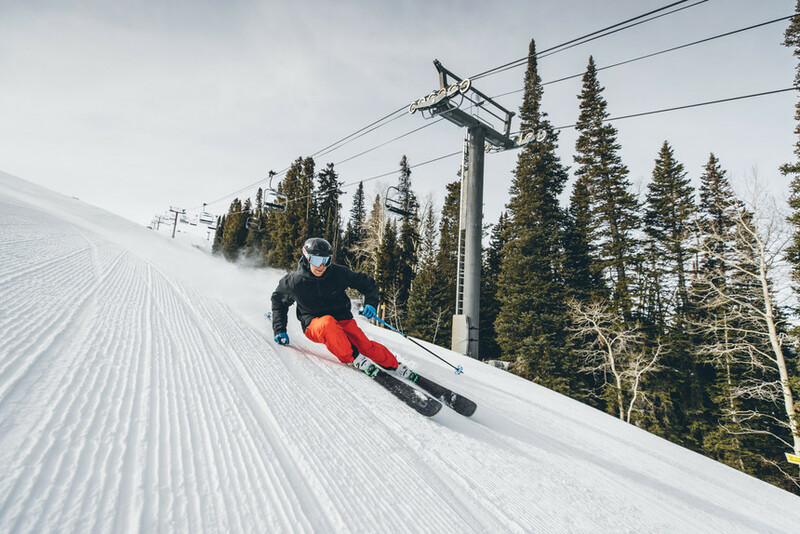 “It gives way to a lot of fast aggressive laps, the runs are steep but fairly short, and you have to be able to find transition and adapt to be able ski Aspen well.”. We caught up with the gang for a split second to get an idea for how the group functions and what keeps them on top of their game. Here’s what they had to say. 15(ish) – Sam Coffey, Wiley Maple, Baker Boyd, Victor Major, Morris Hogan, Milo Stak, Jesse Hoffman, JoJo Coffey, Garret Green, Zac Maraziti, etc. How did this crew come together and how long have you all been skiing or snowboarding together? Wiley Maple: Sam, Baker and I first started skiing together around 10 years old. We called our little ski gang ‘The Stallions.’ We were always trying to get into as much trouble as possible and always were skiing bell to bell. Over the years it kind of evolved into a bigger friend base and as we got older and the ski gangs of Aspen and Jackson became present in our minds, so we formed into ‘The Freaks,’ as a play on Hunter S. Thompson’s life in Aspen and the attitude we brought to the hill. Sam Coffey: We have been skiing together since middle school. It started with Baker, Wiley, and myself ski racing together at Aspen Valley Ski & Snowboard Club. Other members are locals that came back to Aspen after college…or never left. Willie Major showcases the racing form Aspen helped him hone. The Freaks photo. Victor Major: The crew consists almost entirely of Aspen locals. I joined in as the outsider last winter. WM:These days we are just a big crew of great friends with a constantly running group chat. There are so many of us, so if you want to go mountain biking, see a concert, or snag a bowl lap at lunch you shoot a text off and any number of us will meet you at the bucket. 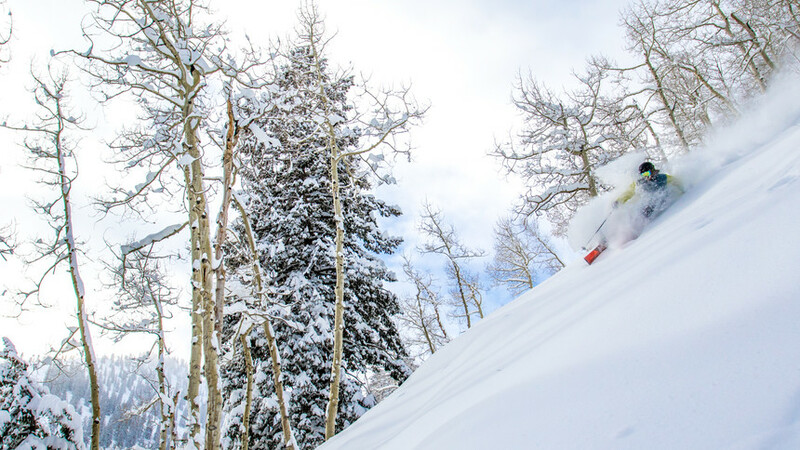 VM: We are all united by a love for both skiing Aspen and the Aspen lifestyle. SC: No, very informal…all for fun. We try not to take ourselves too seriously. VM: Negative. But you will definitely have to buy some pitchers at the Red Onion and ski until your legs fall off…. Oh, and watching Aspen Extreme multiple times is also a pre-requisite. WM:Hard to really nail down any….the best days are when the whole crew can get out and play together. Baker Boyd blasts off. Zach Maraziti photo. SC:High points of the past year include skiing The Landry line on Pyramid Peak, North Maroon, and our rookie trip to Chamonix. We ticked off a lot of serious lines in only two weeks! How often do you all ride together and when you all go out do you typically have specific missions or goals in mind? WM: The whole crew rarely gets out in force because there are so many of us with jobs, surf/ski trips and other obligations. We are pretty good at gathering at least a few of us several times a week. The goal is always to have fun and enjoy each other’s company- usually in the form of a hard ride, ski or night out. SC: Everyday we can. Weekends 100 percent of the time, and weekdays when people are off or on lunch breaks. We ski every powder day together as well! VM: Often, our goal is to simply cut up Aspen Mountain and get as much skiing as possible done in a day. This we do all together. We also have some filming and big mountain missions in mind, but these are usually accomplished by smaller groups and happen more infrequently when conditions are prime. SC: We started our Instagram page mostly to share cool stuff members were throwing down. It has grown pretty fast and people seem to like the page. We don’t do anything just for social media, we just post whenever we have something cool to share. @the_freakstagram. VM: Social media has undoubtedly changed skiing, and few would argue for better … but Instagram has been our main channel for identifying and highlighting the gang. Our goal has never been to build a brand or anything, just to gain some collective recognition.Filming sometimes gets put on the backburner because it is so time-consuming and ruins the flow. Still, we are learning ways to do it more effectively and will definitely be producing more film content this season and in the future. WM: Aspen and the community here created us; most of us couldn’t imagine living anywhere else. If the skiing isn’t good, there is always something that is. SC: Aspen/Snowmass is very good to us; they let us do early morning shoots and help us out with passes. VM: Big mountain. I’ve been to Snowmass twice since I lived here and haven’t skied Buttermilk once. WM:We love skiing Aspen Mountain and Highlands (every once in a while). I’d say we are starting to transition into more back and side country as the equipment and knowledge improves. There’s just more adventure out there but we’ll always ski the resort still I think. 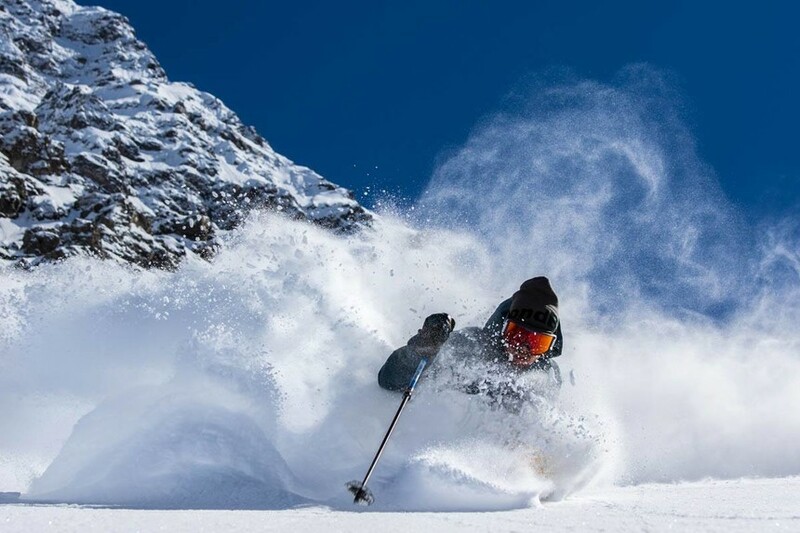 Sam Coffey enjoys some of that delicious champagne pow. Liam Doran photo. VM: I love the backcountry, but this year we’ve mostly stuck to the resort because of low tide and persistent slab avalanche danger. SC: Last year for sure! It snowed every day from December to January, so we were able to ski a lot of pow and when the spring rolled around all of the big lines were fat so we were able to tick off a lot of big mountains in the Elk and San Juan ranges. VM:Last year, December/January were unreal and we capped it all off by skiing Pyramid and a couple other big peaks in the springtime. WM: I have yet to travel with the freaks yet but hopefully I’ll have the time and health to jump trip one of these springs. Baker Boyd showcases the effortless backcountry steeze. Takanori Ota photo. SC: Capitol Peak outside Aspen. 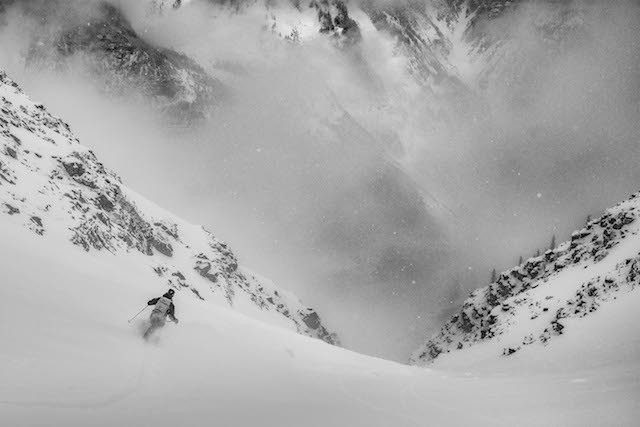 More big lines in Chamonix! Get powder photos published in the ski mags. VM: In 2018 we have seen some imitator gangs pop up in Aspen. Of course, their appearance only legitimizes The Freaks more! SC: Chamonix, Alaska, honing in more mountaineering and snowpack skills. Enjoying life, enjoying each other, and enjoying skiing! VM: Alaska 2019. 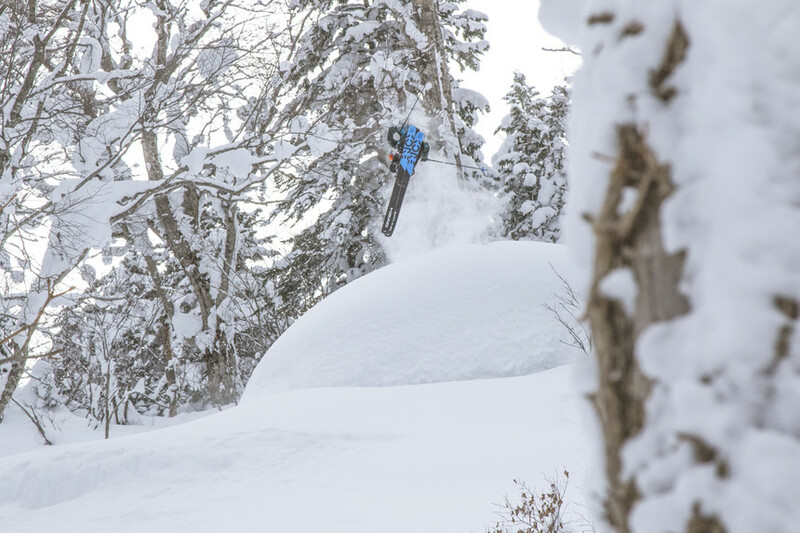 Slow motion butters and backseat pow slashes are cool and all, but we want to bring our style to AK and help elevate good, fast skiing again! Guys, there were ‘gangs’ in Aspen long before you were born. Every generation thinks they invented the wheel. Fastest SKI Gang in ASPEN was very popular in the world. I recently watched one video on GHD SPORTS and it is one of the best video.